Now, this veggie is pretty common in Northern India, but practically unheard of in rest of India!!! 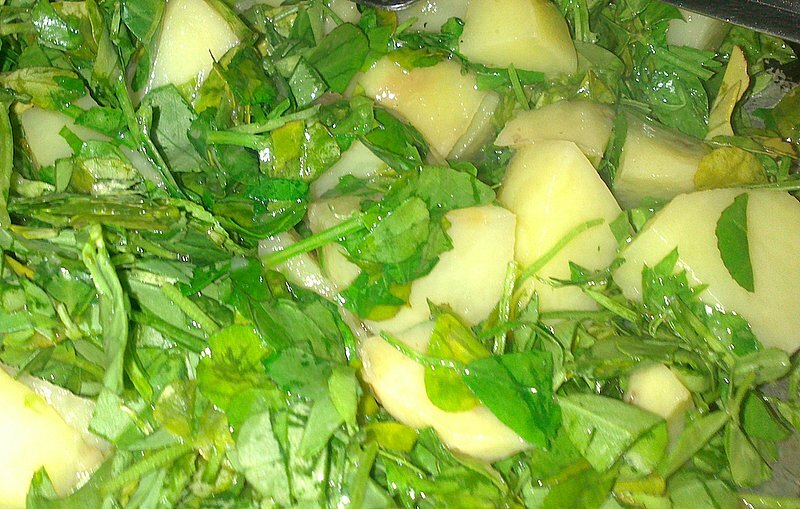 I had never heard of or tasted, Aalu Methi (AKA Potato Fenugreek) till I got married and my MIL whipped up this simple but tasty sabzi one day!!! 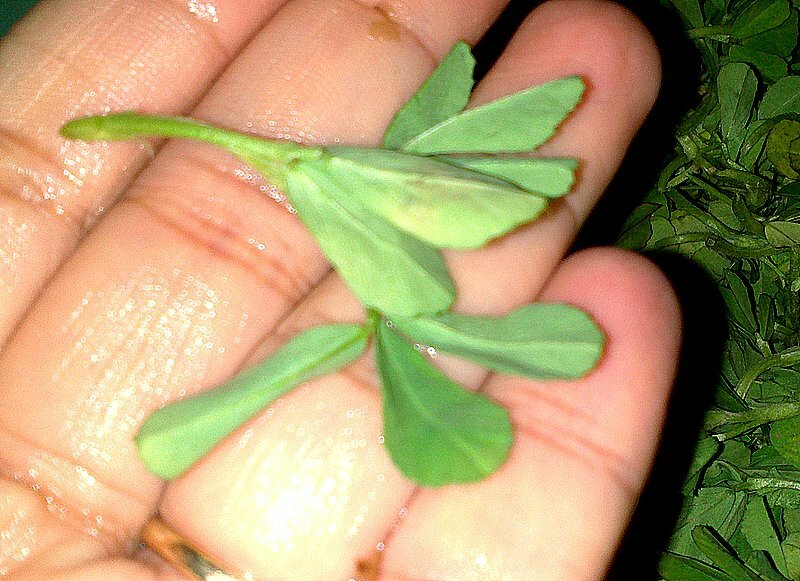 1) Separate methi leaves from the stem. You can include tender stems, but discard harder, more mature stems. 2) Now cut the leaves. 3) Wash methi in enough water for 4-5 times, or till you see no dirt in water. This should be around 4 Cups of methi leaves. 4) Peel and cut potatoes in big chunks. 5) In a thick bottomed pan, add oil and heat it, then add potatoes and salt. Mix and cook covered on low flame for 5 minutes. 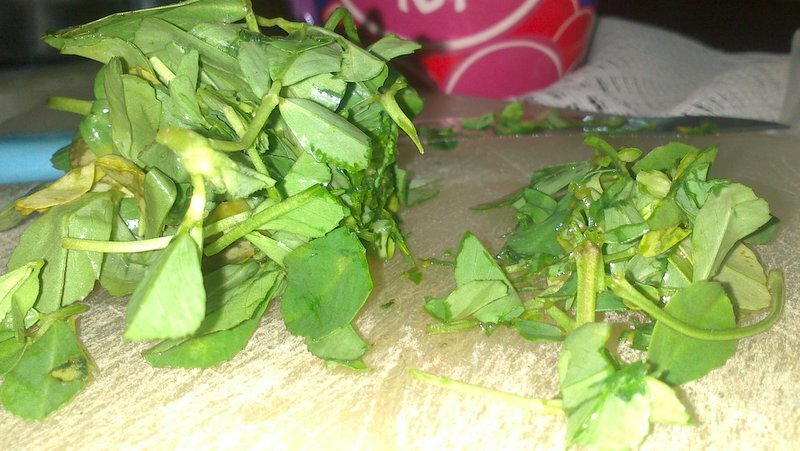 6) Now add cleaned and washed methi leaves, mix well and cover. 7) Cook till potatoes are tender, then add Chili powder, black pepper powder and dhania-jeera powder. Mix well. Keep stirring for about 2-3 minutes. And you are ready to serve Aalu Methi!!! 1) You can increase or decrease the amount of Methi as per your liking. 2) My MIL uses Dhania powder only, but I add Dhania Jeera powder because i normally store it. You can use any of these. Next Post: Handvo | Haandvo | Indian savory cake…. This indeed is easy, healthy and tasty!! I wonder how i spent 26 years of my life without tasting this! !